The Biggest Secret of the Federal Reserve, Exposed! Here it is boys and girls, the most sacred relic of macroeconomics, the Economy Fan. Handed down to Ben Bernake from Alan Greenspan, who received it in turn from the long succession of Fed chairmen all the way back to Thomas Jefferson, who confiscated it during a particularly nasty quarrel between the Masons and Templars. 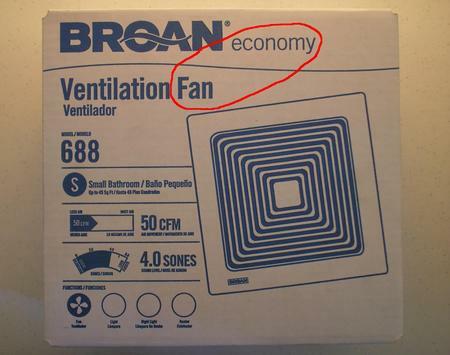 When the economy slows or starts to stagnate, turn on the Economy Fan. If the economy starts moving too fast, turn it off. Nothing could be easier. Another mystery solved, courtesy of the Ominous Comma. Seriously, I want to thank the Staff of The Ominous Comma for this insightful post. I have been in the mortgage business for 10 years and now I can rest easy knowing the Omnipotent Economy Fan is in control. Did Fording have anything to do with this? No, this one was insightful. oil and water temperatures)” – when the oil market heats up and the government is in hot water the inputs will accomodate for the fluctuations in the economy driven by oil and public discontent over the price of gas. machine driving and speed reduction)” – this device is amazing…the Kyoto accord and global warming can be programmed right into this baby, it even allows for calulations driven by the war machine and if the economy over heats…it has speed reduction. If the federal reserve lets this information out to the public alot of people who just spend the day chatting online, watching utube and playing solitaire will be out of work…and the fan controller doesn’t have inputs for large layoffs at the federal reserve. I would rather believe the federal government has left the Fan to its own crucial and mysterious devices. Divine intervention is much easier for our nation to handle than government manipulation (corruption). However, I must admit, I have heard media reports that we are sending our best fan-controller inspectors to another country in the Middle East that starts with an I.
It’s good to have you aboard, sir. I appreciate your contribution of the axiomatic schematics. Those secret plans almost fell into hands of the rebel alliance, but thanks to your quick thinking they are securely stored on the front page of this site, in comforting obscurity. Way to move on that one. What sort of training do you think is required to be fan inspector? I know my right from left and I’m pretty good with clockwise and counterclockwise. I can’t think of anything else I might need to know. After all, it’s been a long time since I visited the middle east. If I returned to the Friendly Sands now, I wonder if my kids would find me? Hmmmmmm. Well Brent, those are indeed the simple skills needed to inspect the fan controllers once they are actually found. Let’s give these guys (and gals) credit for their tracking capabilities. It takes an entire team of analysts, scientists, engineers, and operational planners to track these fan controllers of mass destruction. Of course once they are found, flipping the off switch is pretty much all it takes. It has been a long time since I’ve lived in the Middle East as well. My father was stationed in Saudi Arabia. I must admit I never ventured off military base housing, being only a two year old in poopy pants. Hey Lynn, I think maybe Fording had something to do with this afterall. My Tivo allowed me to review the commmentary on the DP’s media report on fan controllers of mass destruction and guess whose face was glaring back at me? Never underestimate Fording. Hussein did and we all know what happened to him. Also, you may want to rethink the assumption that the sunami was an “all natural” event, but that is strictly off the record.